10% OFF WINE WITH PROMO CODE EASTER10. VIEW T&C'S FOR MORE INFO. Ca del Laito is a Valpolicella like no-other. Intense and glowing with dark, inky blackberry fruit. Heady, and almost kirsch-like with a luxurious dark chocolate character, and notes of roasted coffee and spice. A hugely drinkable but serious wine - complex, pronounced and intense. Payment of UK duty and VAT is deferred until delivery from bond, at which point it will payable at the prevailing rate - at time of print duty is £2.16 per bottle and VAT 20%. We will notify you once this wine arrives in the UK. We recommend buying wines 'in bond' for longer term storage. Tommaso Bussola took over his uncle’s Valpolicella estate in the mid-1980s, having originally trained as a stonemason. With its old vineyards in the heart of the Classico zone, this is now regarded as one of the very best addresses in the Veneto. 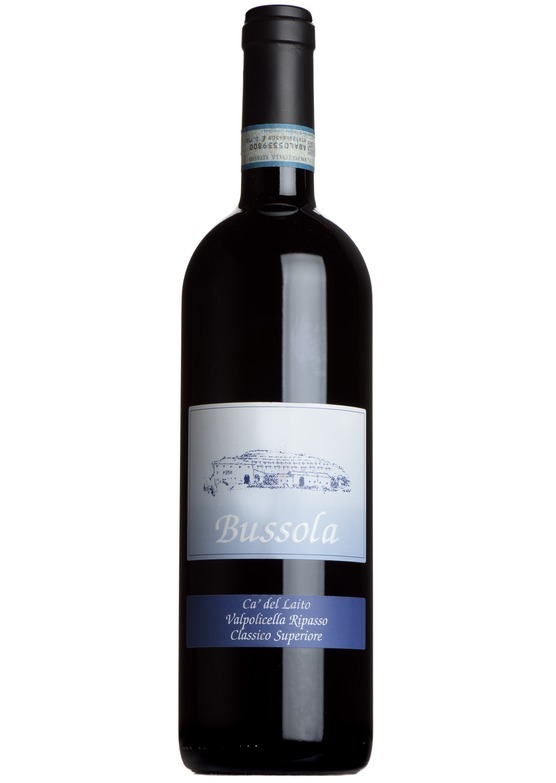 Bussola’s wines are justifiably famous for their extraordinary intensity of fruit. Tommaso is obviously a very talented winemaker, but the strength of his wines is also a result of particularly old vines, and historic low-yielding varietal clones. The Ripasso Valpolicella is fermented over the grapes of an Amarone, giving great richness and character, the Amarone is striking, and very-well scored by critcs, whilst the explosive Recioto is a must-try for lovers of dessert wines.